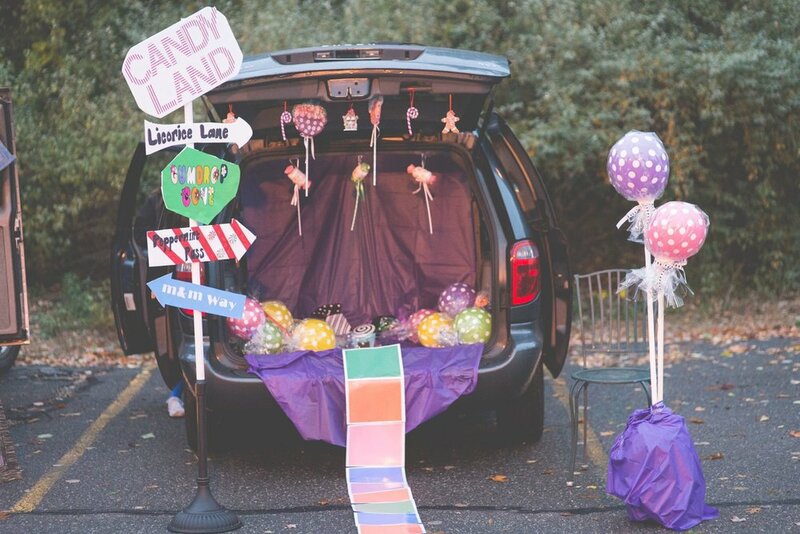 Trunk or Treat is an event where volunteers come to decorate the trunks of their vehicles and hand out candy or prizes to trick or treaters. Trunk or treats are great because they're typically held at a safe location where children and their families can either decorate a vehicle, trick or treat, or both in a fun and traffic free environment. 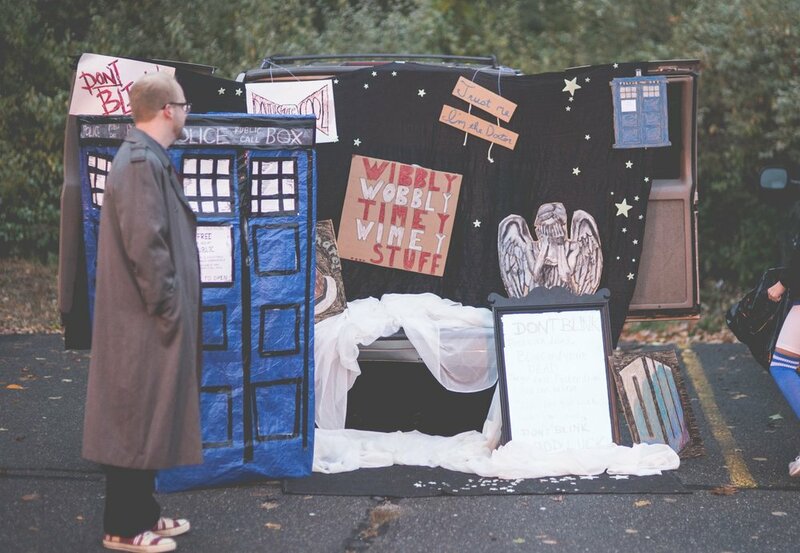 Because everything is closer together and other activities can be offered at the same location - Trunk or Treats are perfect community building events. This one has togetherness and community at its core. The Greater Derry Trunk or Treat was started by Journey Church as a community outreach several years ago. In 2015 Thrive Outdoors took over operations to free up the church volunteers and offer extra support. Since community and togetherness are an integral piece of Thrive Outdoors' mission - and Halloween has always been a favorite of Jake (one of the partners) - taking this on as a free event for the town made perfect sense. Candy, decorations, face painting, a petting zoo, hot dogs, hot cocoa, and a safe place to celebrate are all brought together by local agencies to create one of the most memorable nights of the year. Costumed families waiting for the quiz. 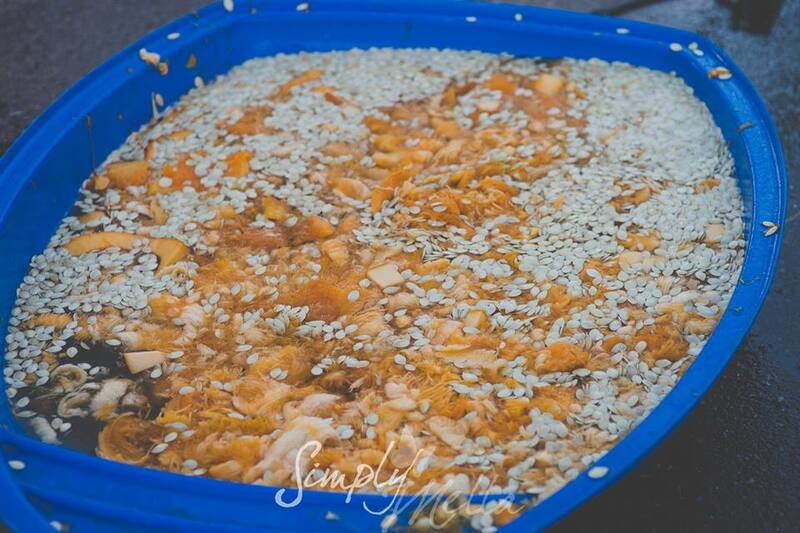 Each year we procure more and more pumpkin guts to fill a small pool. Each year Jake ends up taking a bath in it. Will the crowd hit their mark and send him into The Dip this year? Our photo booth is as good as it gets. Melanie from Simply Mella Photography takes a lot of pictures... FOR FREE! And posts them to our Facebook gallery for families and friends to grab. Check out her regular work at the link above - or check out our past Trunk or Treat galleries below.